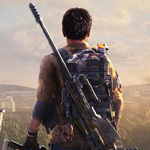 The Division 2 has attracted plenty of players since Mmotank has been doing MMORPG service for many years, and we have been the very professional supplier as MMORPG products third party. 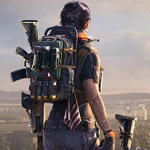 You can purchase the The Division 2 Phoenix Credits and Powerleveling and Account with the cheapest price, and our fast delivery wont be forgotten by you surely. Prompt delivery is the main reason which plenty of customers choose mmotank to purchase. 24/7 Online support include online chat and email and skype, will be your simple contact ways with us. And also, for the The Division 2 customers, we always give you amazing gifts. mmotank is trying the best have everyone satisfied with our products and service. We are working harder and harder to provide you the best products and great service. Have fun in shopping on Mmotank.